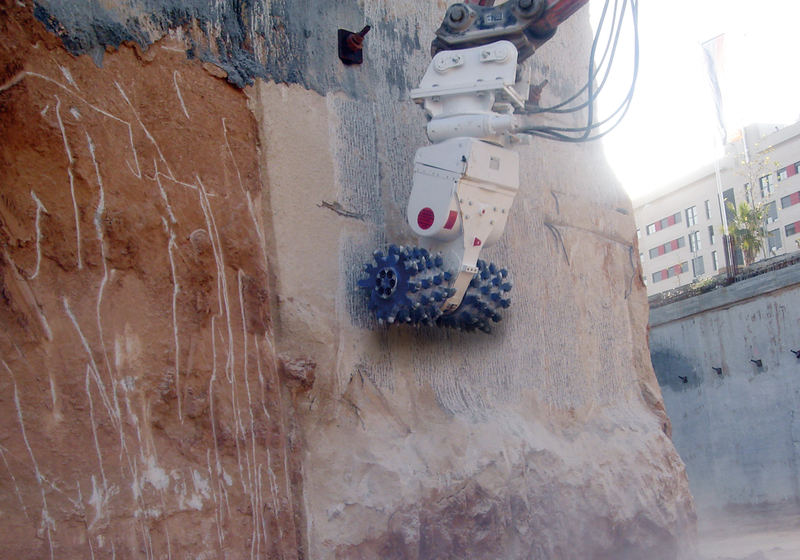 Revolving rotary drum cutters for excavators from 2 to 70 tons. The ERC range from Erkat represents a new generation of drum cutters that extends significantly the number of applications where they can be successfully employed. They have an integrated, hydraulically driven rotation unit designed by Erkat. The integrated rotation unit with continuous infinite rotation, allows the drum cutter to be ideally oriented to the cutting surface under all conditions. 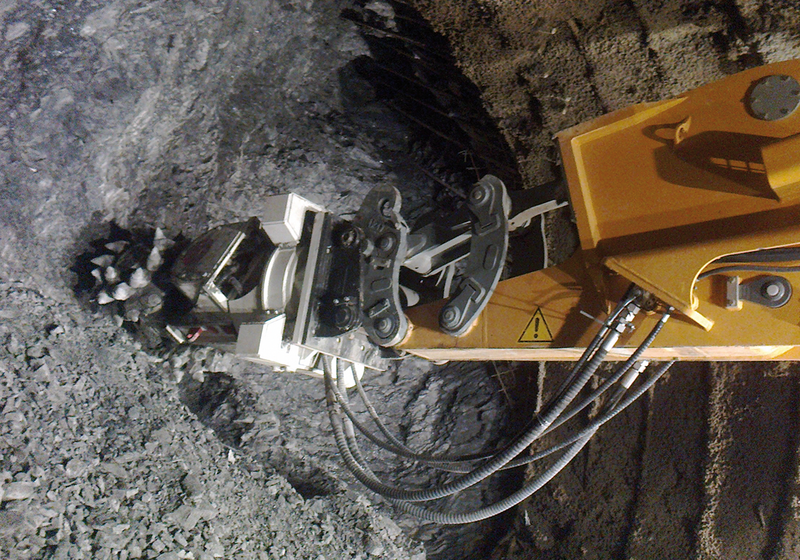 The extra manoeuvrability makes the cutter more efficient in many applications. 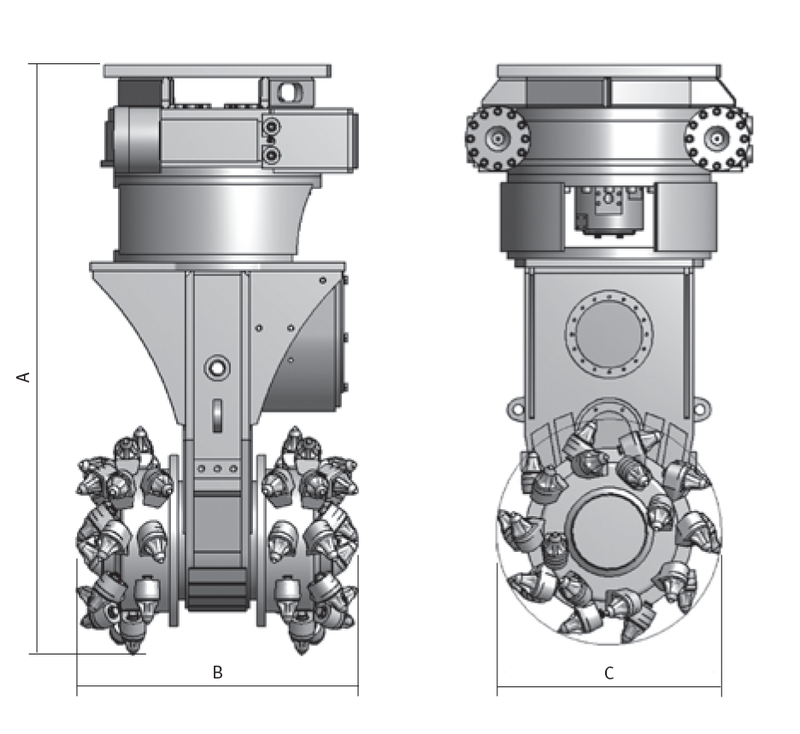 Rotation units are supplied with integrated hydraulic swivel joints as standard.